Frustrated by confusing tax rules? Overwhelmed by business needs? 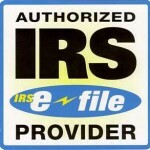 Worried about back taxes or IRS notifications? We can help. Get Help Tax and Bookkeeping provides accounting services to individuals and small businesses. Our secure online portal allows us to exchange information and serve clients in all 50 states as well as outside the United States. If you need help Get Help!